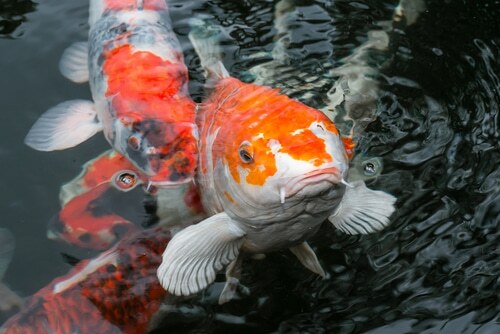 All animals, including koi carp, need light to live! 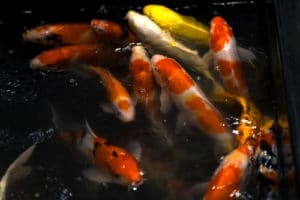 While artificial lighting can help you to see the depths of your pond more clearly or allow you to view your koi once the sun has gone down, natural lighting in the form of sunlight is vital to koi, for a wide variety of reasons. 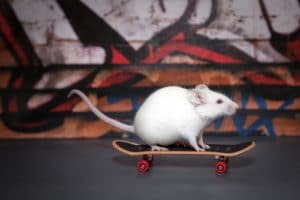 All animals live out their lives affected by their “circadian rhythms”, which are caused by the natural cycle of darkness and light. It is therefore important to make sure that your pond is positioned in such a way that your koi pond will be exposed to natural light and feel the effects of the daily and seasonal lighting changes. This is important in order to keep your koi healthy and their metabolisms ticking over normally. Vitamin D is an important vitamin that cannot be artificially created and is only generated through sunlight. Vitamin D enables plant and animal life to grow and thrive. It is responsible for a wide range of processes including building and maintaining a healthy immune system and contributing to the growth of strong teeth and bones. While humans get their daily vitamin D dose directly from the sun, koi carp cannot process it in this way. To get their supply of vitamin D, koi need to eat plants and animals that have already absorbed it. Sunlight is also vital in order to grow strong, healthy plants in your koi pond and to allow the process of photosynthesis and oxygenation of the water. Exposure to sunlight also means that the plants in your koi pond will be rich in vitamin D, which as already mentioned, is essential for healthy koi. Natural lighting in the form of sunlight also helps your koi’s colors to really shine through. As well as showing the koi off in their best light, sunlight will contribute to the development of healthy color pigmentation. While sunlight is vital for your koi pond in order to ensure that your fish and plants thrive, it is also important to ensure that there is a shaded area of the pond. This allows the koi to get out of the hot sun when they need to cool down. Finally, too much bright light over the pond for long periods of time can contribute to bacteria growth and algae blooms, so it’s important to get the balance of light and shade just right! 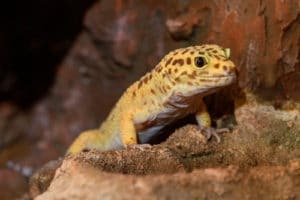 Which reptiles make good pets? 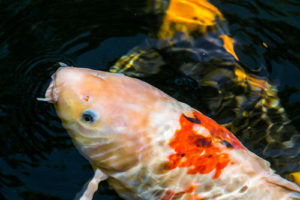 Previous ArticleDo Koi Eat Other Fish?Next ArticleDo Koi Carp Need Running Water? I love your illustrations! Who did them? 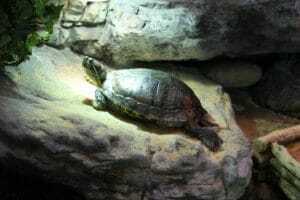 Tortoises are adorable animals and they are great pets to keep in your home. Here we explore the top five reasons why you should consider getting a tortoise as a pet. With some space to enjoy and some lettuce to chomp on, a tortoise will be pretty happy. This low maintenance pet won’t need walking twice a day and will keep themselves entertained. Tortoises are very affordable to keep in your home. Once they are set up with a comfortable space to enjoy, there will be very little cost to upkeep them. Their food is cheap and their space remains clean for long periods without needing to be changed. Tortoises will also be around for a long time. 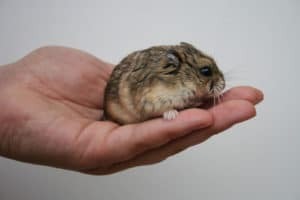 They can live from 14 to 30 years or more depending on the species, which means you will have a friend for years to come. Unlike most other pets, you will be able to enjoy your tortoise for vast periods of your life. Tortoises are far more harmless than cats and dogs. While they may bite your finger if you put it in their mouth, little damage will be done. A tortoise is a very safe pet to have in the home and is great when you have children too. Tortoises are unlike most pets in that they are happy in the space you give them. With room to wander around, food to eat and occasional trips into the garden to play and eat grass, the tortoise will be happy. 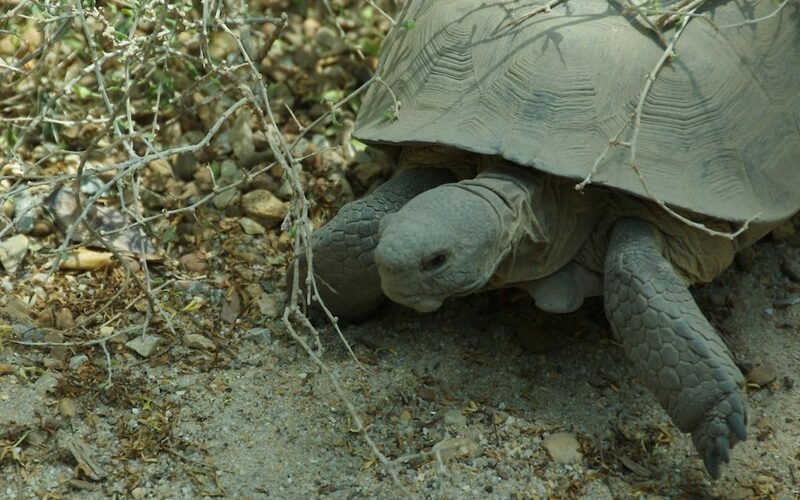 Tortoises will not try to run away from you like dogs, hamsters or guinea pigs. Tortoises are adorable creatures to keep as pets and they are a very practical and affordable animal to have in your home. Unlike many pets, it is easy to keep a tortoise and to keep them happy for a long time. With a tortoise, you will have a friend for years and years to come. There’s something mesmerising about watching a tank full of brightly coloured fish swim around. Do they make good pets though? Is it hard to keep exotic fish? 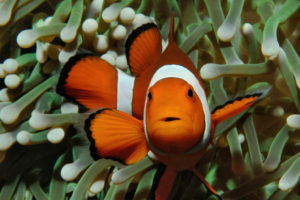 With the right pet care and pet advice, exotic fish make great, if unusual pets. Go for the biggest sized tank you can afford and have room for. The bigger your tank, the easier you’ll find keeping the balance of the water right. Your fish need plenty of room to swim too. Aim for at least a 20-gallon tank. You’re going to need a heater to warm the water. You’ll also need a filter to ensure clean, healthy water, which is crucial for fish to thrive. It’s advisable to add an air pump to boost the oxygen levels. You’ll also need a light for the tank, and a timer for the light, so it’s not on all the time. Bear in mind a fish tank should be placed out of direct sunlight, away from draughts and heating sources. On top of the things that make your tank work you’re going to need everything that goes into your tank; gravel for the bottom, plants, and decorative caves and tunnels so your fish can hide if they want to. 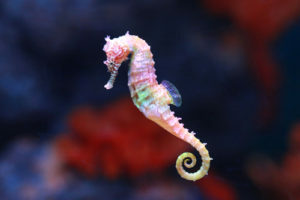 You can usually buy aquarium starter kits at pet food stores if you want help in pulling everything together. 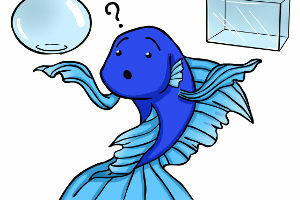 The filter will cycle your water to make it suitable for fish to live in, never add tap water directly to the tank. You need to de-chlorinate it first. You can also add a water treatment to help keep the water healthy between changes. You should change about 10-15% of the water each week to keep it clean and healthy for the fish. Never do a full tank change once your fish are in the tank. 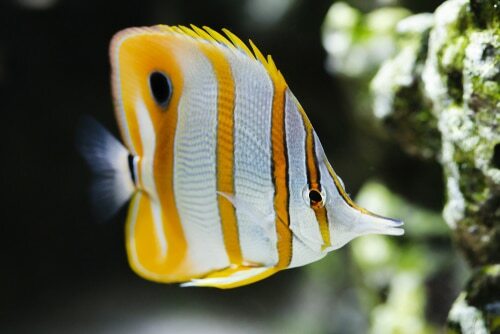 When you choose your fish, make sure you start introducing them slowly – this will help you identify if you’ve got the water balance right, and at this point, your tanks eco-system is still developing, so adding lots of fish can damage it. There’s a wide range of tropical fish to choose from – Cichlids, Betta and Swordtails are good starter fish, and are nice to look at. Never mix goldfish and tropical fish together.